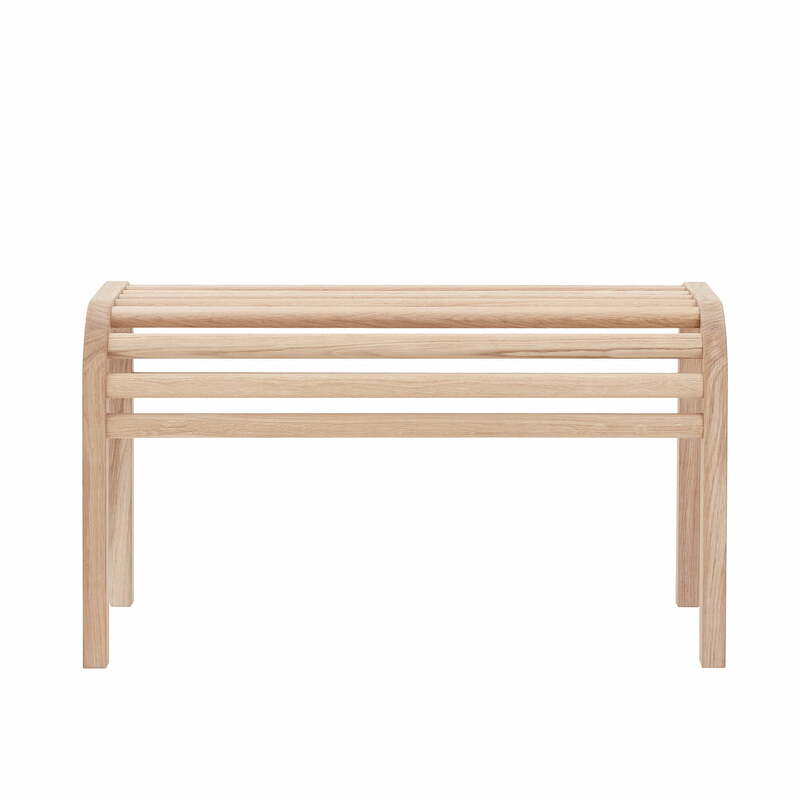 The elegant B1 bench by Andersen Furniture is a functional and at the same time decorative seat for the living area. 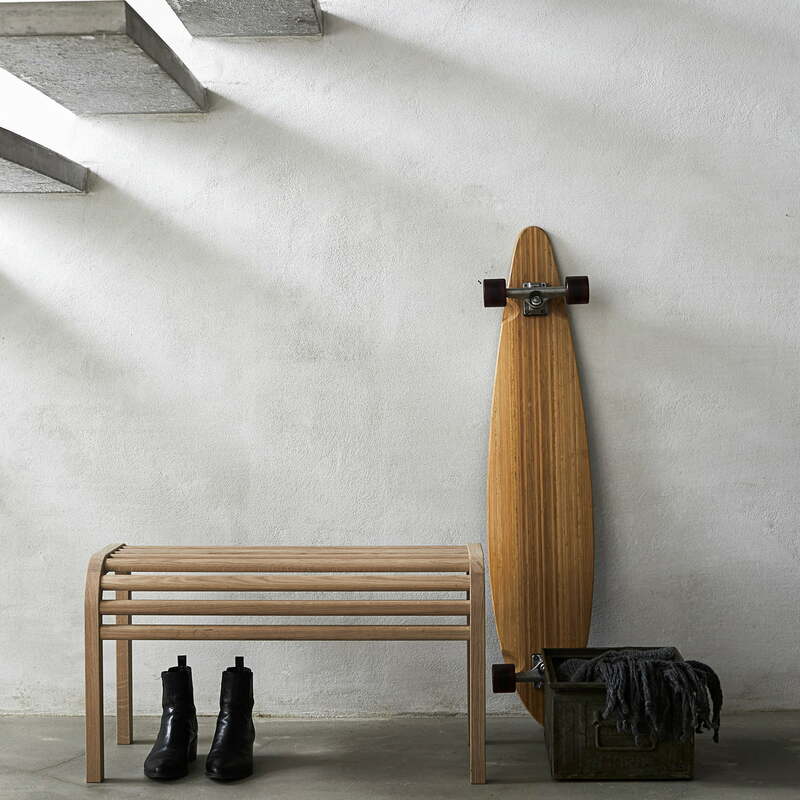 The B1 bench made of oak wood is defined by soft curves with rounded lamellas and organic shapes and blends charmingly into any room. It is particularly suitable for the entrance area next to the shoe shelf or wardrobe. But the bench also creates a warm and inviting atmosphere in the children's room or living room. The B1 bench of Andersen Furniture in the ambience view. 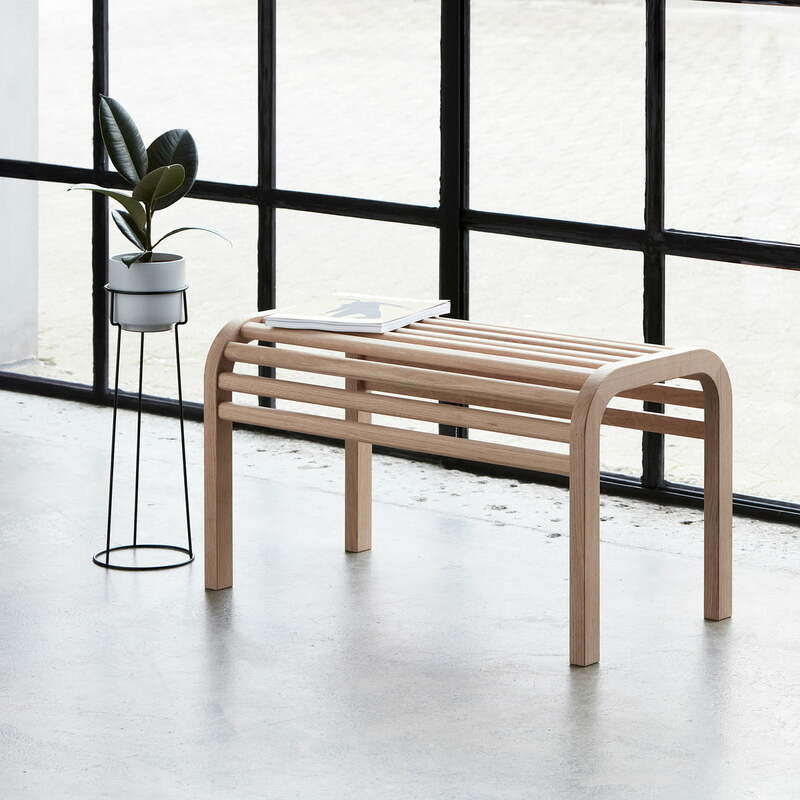 The elegant B1 bench by Andersen Furniture is a functional and at the same time decorative seat for the living area.